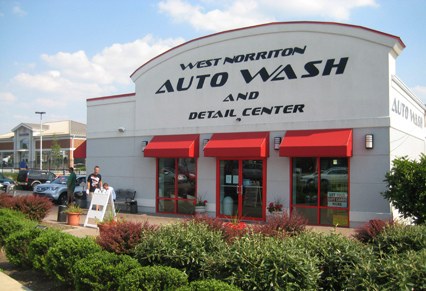 At the West Norriton Auto Wash and Detail Center, we are committed to customer satisfaction. If you are not satisfied with any aspect of your car wash experience, please let one of our service advisors or managers know. If you are satisfied, please tell your friends, family and colleagues about us! Our West Norriton facility was opened in June, 2004 and has steadily grown a devoted customer base since then. This a state of the art facility is equipped with well maintained, environmentally friendly equipment and an experienced staff ready to meet any need. We are a family operated business, and we consistently strive to meet and exceed our customer’s expectations. Please feel free to stop be our West Norriton location to tour our facility, try our services, or just ask questions. You can also use our website to contact us at any time. We are conveniently located just north of King of Prussia, PA off the Trooper/Audubon Exit on Route 422 at the intersection of Egypt Road and Trooper Road. Our site is situated in front of the Valley Forge Marketplace Shopping Center (which houses Walmart, Home Depot and Office Depot).